Hindi status are very popular among Indians and Pakistani. Over 258 million people know Hindi language and the number could be way higher if other countries are included. Youd be surprised to know that Hindi is the 4th largest language in the world. 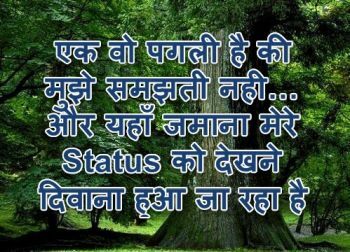 A top notch collection of Hindi status messages has been given here. 123hindistatus is born to serve the people that knows Hindi language. You can find some of the best Hindi status, shayaris, Hindi jokes and whatsapp status messages for your joy. They can be shared with the friends and family members through WhatsApp, Facebook, Twitter and many other mediums. Make sure you follow them carefully. A nicely crafted navigation menu on the top will allow you to navigate through different articles easily. In case, if you are having any trouble, then let us know. You can go through all the Hindi status messages and enjoy them. Be generous and let other people know about our website by sharing it on Whatsapp and Facebook. 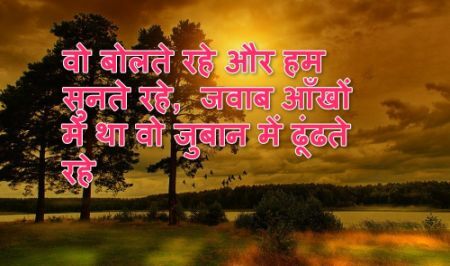 Following are some of the best Hindi status messages for our readers. You can use them to update your WhatsApp status. 11तेवर दिखाने में तो हम माहिर है पगली, पर मम्मी ने मना किया है की मेरी बहु कभी रोनी नहीं चाहिए. सिर्फ तुम हो जो मुझको नही समझती, और यहाँ सब मेरे “स्टेटस” पढते पढते दिवाने ही हो जाते हे. 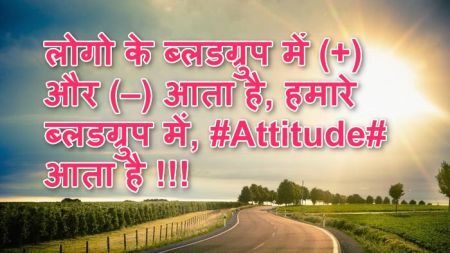 ज़िंदगी भी अब विडियो गेम जैसी हो गयी है, साला एक लैवल क्रॉस करो तो अगला लैवल और भी मुश्किल आ जाता हैं. अमीर की बेटी पार्लर में जितना दे आती है, उतने में गरीब की बेटी अपने ससुराल चली जाती है. मेरा होकर भी गैर की जागीर लगता है, दिल भी साला मसला-ऐ-कश्मीर लगता है. हमारा कत्ल करने की उनकी साजीश तो देखो जब गुजरे करीब से तो चेहरे से पर्दा हटा लिया. हम रोए तो भी वो जान ना सके… वो जरा सो उदास भी हुए हुए तो हमें खबर हो गई..
महसूस किया है उस जलते हुए रावण का दुःख जो सामने खड़ी भीड़ से बारबार पूछ रहा था.. तुम में से कोई राम है क्या? हमे इतना भी ना घुमा ए जिंदगी, हम शायर है ,कोई “MRF के टायर” नही…. 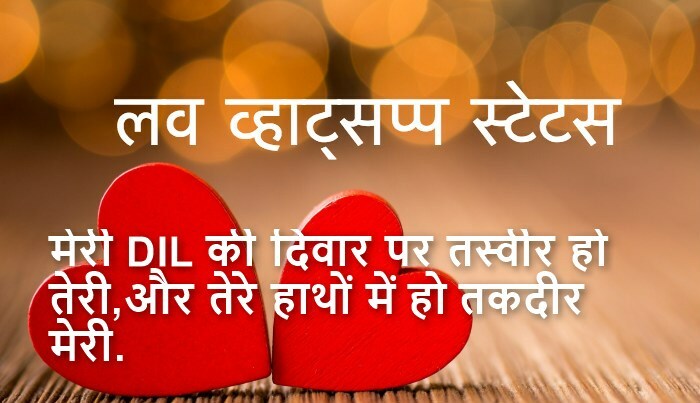 जी भर गया है तो बता दो हमें इनकार पसंद है पर इंतजार नहीं…! कोई ना दे हमें खुश रहने की दुआ, तो भी कोई बात नहीं वैसे भी हम खुशियाँ रखते नहीं, बाँट देते है…! खेलने दो उन्हे जब तक जी न भर जाए उनका, मोहब्बत चंद चार दिन कि थी तो शौक कितने दिन का होगा..
कितना जानता होगा वो शख्स हमारे बारे में, हमारे मुस्कुराने पर भी जिसने पूछ लिया की तुम उदास क्यों हो. अचानक Wi-Fi सिग्नल बंद हो गये लगता है कि पडोसी ने बिल नहीं भरा!! जरूरत और चाहत में बहुत फ़र्क है… कमबख्त़ इसमे तालमेल बिठाते बिठाते ज़िन्दगी ही गुज़र गई !!!! पसंद है मुझे.. उन लोगों से हारना जो लोग मेरे हारने की वजह से पहली बार जीते हों..
अभी तो बस इश्क़ हुआ है मंज़िल तो मयखाने में मिलेगी!!! खवाहिश नही मुझे मशहुर होने की आप मुझे पहचानते हो बस इतना ही काफी है..
Have you enjoyed some of the best Hindi status given here? Dont be satisfied. Check our other categories and articles to get even more status messages. They can be set as your Whatsapp status, or you can even forward that as a message to your other friends. Since, we keep updating the blog daily, it is highly recommended that you following 123 hindi status blog or bookmark it for the future reference. In case, if you would like to contribute your own messages, then you can send them to us via contact form. We will update them here with due credit. This will also give you a nice exposure. Very soon our Facebook page will also be created. Make sure to check the sidebar of the website. Do you like what we are doing here? Let us know your feedback via comment section below. Top 100 One Line Status in Hindi For Whatsapp ?